How does a big, brilliant year of growth and fulfillment begin? One day at a time. 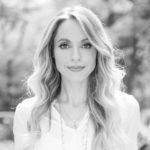 Here, spiritual superstar and Well+Good Council member Gabrielle Bernstein shares 31 actionable steps to take to make this January everything you want it to be…and more. Create a desire list. Write down everything you want and why you want it. When you make a list of what you want, you start to feel that there’s enough to go around. Be unapologetic and trust in the abundance of the Universe. Feel how good it feels to claim your desires! Find peace in your pulse. Sit comfortably in a quiet space. Place the four fingers of your right hand on the inside of your left wrist. Find your pulse. On the beat of each pulse, silently repeat the mantra “Sat nam” (it means Truth identified or Truth is my name). Practice for 1 to 3 minutes to feel grounded and calm. Play the appreciation game with your spouse/partner, a good friend, or family member. Take turns saying what you appreciate about each other, whether it’s something small or something big. Take one little right action toward your dream today. When you feel judged by someone, instead of getting defensive or attacking back, go out of your way to make someone else feel loved. You can send flowers to a friend, email a coworker and thank them for doing a great job, or post an inspirational message on social media. Giving love to another person is the fastest way to stop the momentum of the negative energy and feel better right away. Satisfy your sweet tooth with my healthy coffee milkshake! Blend ½ cup decaf coffee, 1 Tbsp. cacao powder, 1 scoop of coconut oil, 2 pitted dates, ½ cup unsweetened coconut milk and 1 cup ice. Take one little right action toward your dream today. Write that blog post, set up your YouTube channel, sign up for that art class. Just take one action. One powerful thing you can do is download my free guide called 10 Ways to Succeed as a Spiritual Entrepreneur. Pray for the highest good for all. Pray for the highest good for all. Instead of praying for an outcome, say, “Universe, thank you for supporting me. I surrender my desires and expectations, and I pray for the highest good for all.” Get into alignment and let the Universe show you what’s best! Practice the 1-minute breath. For about 1 minute, follow this breathing pattern: Inhale for a count of 5 seconds, hold for 5 seconds and exhale for 5 seconds. Connecting to your breath chills you out and shifts your mood fast. As you walk through your day, silently say this to everyone you encounter: “The light in you is all I see.” Direct it toward strangers, coworkers, family members, everyone. Pay attention to how you feel by consciously choosing to see the light in others. Honor how you want to feel. Get clear about it and do everything you can to support it. For example, if you want to find romance, then make sure that you’re loving yourself deeply. Tend to the non-romantic relationships in your life and appreciate the love you have. This is the key to manifesting. Move in some way every day. Let go of pressure by seeing movement as a spiritual act. See it as joyful and as a way to connect with your body. Move in whatever way feels good, whether it’s walking around the block, dancing for 15 minutes in your living room or going to spin class. When life gets busy or hard, this short affirmation will help you keep the faith: “There is always a solution of the highest good.” Repeat it silently or out loud throughout the day, trusting that the solution you need is coming to you. Change your money mantra! When you get stuck in limiting thoughts about money, say, “I am open to creative possibilities for abundance.” Simply being open to creative possibilities will send a powerful message to the Universe. Protect your energy and create loving boundaries. Create a spiritual space so that you get psyched to meditate daily. Set up a corner of your bedroom with a meditation cushion, crystals, spiritual books, your favorite mantra cards, and anything else that helps you get centered. Try being silent in the midst of gossip. Instead of joining in when a group starts gossiping, experiment with simply not saying anything. You can even say a silent prayer asking for everyone (including you) to be free of the judgments you’re holding. Remember that energy flows where your intention goes. Today, find the time to bring energy to that work that inspires you, that you feel passionate about. It can be a hobby or something you hope to turn into a paycheck. Whatever it is, make it a priority. Let yourself off the hook when you have a bad day. It happens. Instead of stewing in anger or feeling guilty for getting out of alignment, forgive yourself fast. Show yourself a lot of compassion, do something (anything!) to feel better, and move on. Do you tend to jibber-jabber when you feel uncomfortable or out of alignment? (I do.) Try this tip from my book Miracles Now. Ask yourself, “WAIT: Why Am I Talking?” Take a beat, take a breath, and come back to a more authentic place. Realign with your inner guidance system by repeating this affirmation: “I choose to see through the lens of love and I know the Universe is guiding me.” Say it anytime you need it throughout your day. Stop worry spirals with this prayer from my book The Universe Has Your Back: “I step back and let the Universe lead the way.” Say it anytime fear has you in a headlock, even over seemingly minor things. This simple prayer immediately releases you from meaningless mind-wandering and brings you back to the presence of your power. Do you have a judgment or resentment that’s hard to release? Say this surrender prayer: “Dear inner guide, I need help with my judgment toward _______. I’m ready to surrender this now. I welcome in the presence of love to guide me back to truth and grace.” You can deepen your practice with my free Judgment Detox Mini Course. Say nice things to yourself! Healthy gut = happy life. Pray before your meals for good digestion. You can say a prayer like, “May this food nourish me and heal me. May I enjoy every bite, eat mindfully, and digest well.” Pray for how you want to feel. Prayer will encourage your digestion by calming you down. The next time you’re in a petty argument, ask yourself: “Would I rather be right or happy?” Our ego wants to be right and “win,” but the truth is that we want to be happy, peaceful, and free. The first step is to choose it. When you’re in a funk or feeling upset, do anything that brings you joy. Go for a run, do a crossword puzzle, call a friend, bake muffins. It doesn’t matter what it is as long as it makes you happy. We have a sacred responsibility to lean toward joy. The more joyful we are, the more light we can shine upon the world! Practice gratitude and mindfulness with this tip from my book May Cause Miracles. Today your affirmation is “I am grateful for this moment.” In simple experiences like catching the train or enjoying a cup of tea, say the afﬁrmation. Even when things seem to be going wrong, say to yourself, “I am grateful for this moment.” Let this afﬁrmation lead you out of ego fear and into gratitude. Here’s a tip from my book Miracles Now: Refresh yourself with a light bath. Lie down and envision a waterfall of light pouring over your body. Breathe in and out of your nose, sinking deeper into your bed or the floor. Continue envisioning light pouring over you, calming you, cleansing you, and restoring you. Release resentment fast with the “Peace begins with me” Kundalini meditation. Gently press your thumb against your index finger, then your middle finger, then your ring finger, then your pinkie finger. When you touch your index finger, say: PEACE. Thumb to middle finger, say: BEGINS. Thumb to ring finger, say: WITH. Thumb to pinkie finger, say: ME. You can even do this under the table at a meeting. Create mindful moments throughout your day. I do this by choosing favorite affirmations on my Spirit Junkie App and setting notifications at different times during the day. When my phone buzzes, I close my eyes and silently repeat the affirmation a few times as I breathe deep. You can do this with any affirmation or mantra. Give yourself permission to shine. Most of us have been taught to turn down our power, but playing small won’t work anymore. The world is in desperate need of more miracle-minded people waking up to their true power and purpose. It is your responsibility to shine bright. Meditate, pray, journal, clear judgment, appreciate, and choose joy! 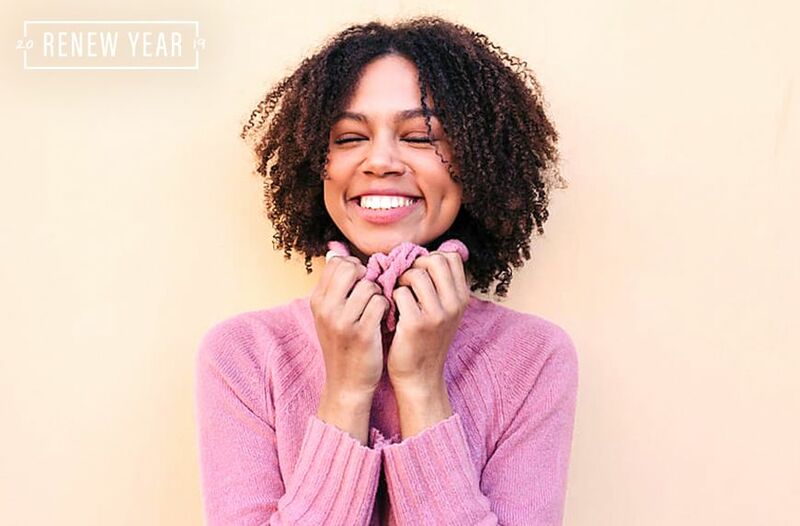 Get even more self-care advice from Gabby in ReNew Year, Well+Good’s guide to your happiest, healthiest year yet.